Hey there! Thank you so much for reading my content! 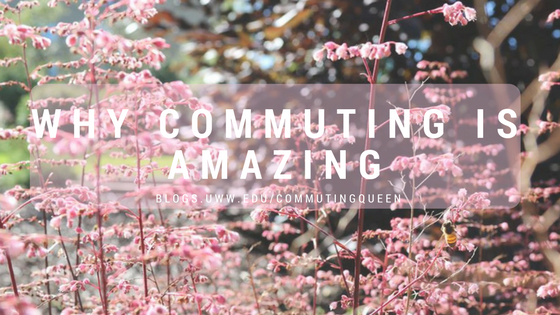 Today, I really want to write about why I think commuting is truly amazing. A lot of students commute to their respective school every year! There are so many people who choose to commute for so many different reasons yet it seems so rare to find a commuter in class. I feel like some commuting students are hesitant to bring up their living status for whatever reason. I say enough of that! 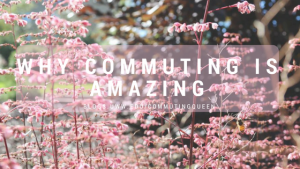 You are fantastic and amazing and so much more than just a commuter! Anyway, here are my top 5 reasons why commuting is amazing and why you should be proud of your status! 1. You get the best of both worlds: Hannah Montana knew what she was talking about with this song. You really are living the life and you better hold on tight! (Okay, that’s the last Hannah Montana lyric I promise!) Anyway, you get to see your friends throughout the week by being on campus for your classes. You get to feel a sense of accomplishment every night when you drive home and you also get home cooked meals! It truly is a win win! 2. You have a totally unique opinion: When you go through any type of interview process, you will definitely stand out. You can offer such a unique perspective based solely on the fact that you were a commuter student. You can prove you are dedicated by constantly driving to school each and every day and that you are also hardworking because after a long day of driving and attending classes, you still managed to keep up with your work. You are unique, OWN IT! 3. You get more family time! : For me, this is one of the greatest advantages of being a commuter student. I absolutely adore my family and am so grateful that I get to be home for everything. I love the little things like life chats with my parents or funny moments with my sisters. I also love being home for the bigger moments! Like my sister’s homecoming dance or visits with out-of-town family members! It is such a blessing to be able to have that time with the ones I love the most. 4. Your bedroom: I’m sorry but there is nothing better than knowing that when you go home your bedroom and bathroom are going to be there just waiting for you. After 3 years of living the dorm life, I can safely say that this is far better. I LOVE that I don’t have to wear flip flops into my shower and that my bedroom is bigger than a jail cell. I love the comfort that my room brings me and I hope you all feel the same way too. 5. You get a confidence boost: Every time that you are down on yourself, remember how strong you truly are. You are doing something that not many people your age are capable of. Each week, you force yourself to get out of bed, drive a number of miles just to get to school. You spend hours at a time just listening to lecture and working on assignments. After all of that is over, you drive home, work on your assignments, study for exams and work on projects. You do all of this while maintaining relationships with your family and friends and you may even have additional responsibilities on the side. You are honestly a super hero and you should remind yourself of that every chance you get. I hope you are able to relate to the things I mentioned in this blog. You are truly amazing and I just really want you to know that. Enjoy this upcoming week! This entry was posted in Thoughts on Commuting and tagged accomplishment, amazing, commuting, school, unique. Bookmark the permalink.